I started out like many others who wanted to learn a trade starting at the bottom of the ladder. Quickly learning the trade and discovering I had a knack for working with my hands, I found myself running someone else’s projects without supervision. 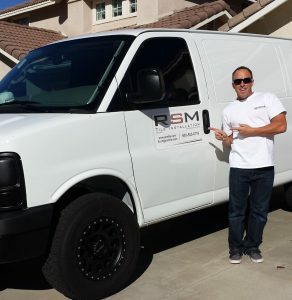 Five years later I started RSM Tile in June of 2000. Now with 18 years of experience in the tile industry, I have worked in every niche of the business from new construction, remodeling projects, commercial job sites, to custom homes. I'm committed to providing the highest level of craftsmanship combined with superior customer service. We pride ourselves on being extremely detail oriented, organized, punctual and clean. Respect for your home is our top priority. Successful installations begin with project planning and design with my experience and your vision we can bring your project to life. I enjoy creating and designing. My trade provides me with an opportunity to share my craft. I take pride in the finished projects and the satisfaction of our customers. If you would like consultation for your upcoming project, I would love to help you.